Experiment with hairstyles: classic high ponytail, low braided ponytail, messy bun (with extra pins), bubble ponytail, tight fishtail, low double ponytail etc. Avoid makeup unless you fancy battling with a breakout. However, there are other fresh-faced and natural-looking options. Try covering your lips with vaseline or a lip stain before working out, or dabbing a subtle line of kohl in between your upper lashes to help your eyes pop, even after you've broken into a sweat. Oh, and a quick brush of the ol' brows before leaving the house doesn't hurt! Don't forget your nails. We tend to think super-casual when it comes to working out, and so they can often be overlooked. But it can help boost morale to see your nails are on point - especially as a large part of working out is about being in control, right?! I hope my tips have been of some help! Feel free to add your suggestions in the comments below, and I'd love to hear how you keep yourself looking stylish when working out. Obsessed with collecting luxe activewear? Let me know! What a great post, girlie! I love those leggings, the bow ties are so cute! That said, I love wearing cute workout clothes, they really are a great way to encourage and motivate you when you're feeling confident in what you're wearing as you work to attain/maintain your fitness goals. I've never really thought of it, but having well kept nails really does help with boosting confidence, too. I never feel good when they're not done and when you look at your hands in gloves and see a pop of color while working out, it does feel quite good! Thanks for sharing, beauty, and I hope you're having a great week so far! 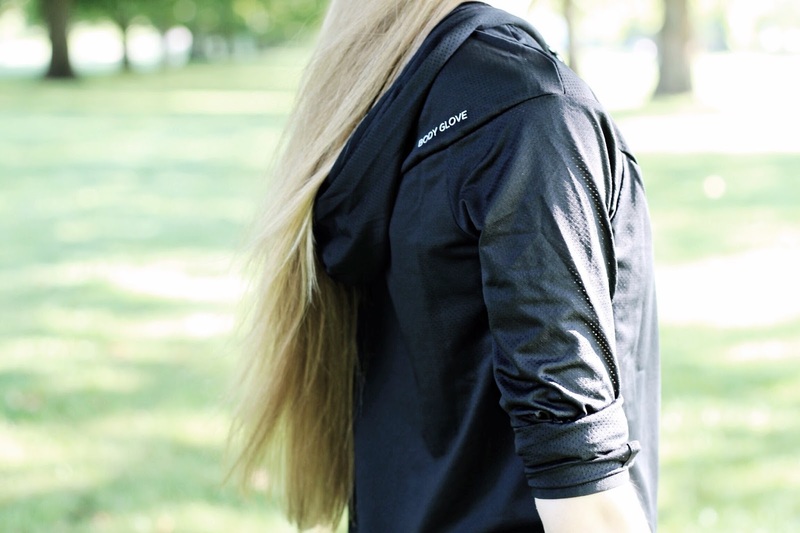 Love this chic active wear! Working out never looked so good! Gabrielle you are serious body goals! I honestly think that when you feel beautiful, you work out harder! Cute hairstyles are such a great idea that I hadn't considered before. 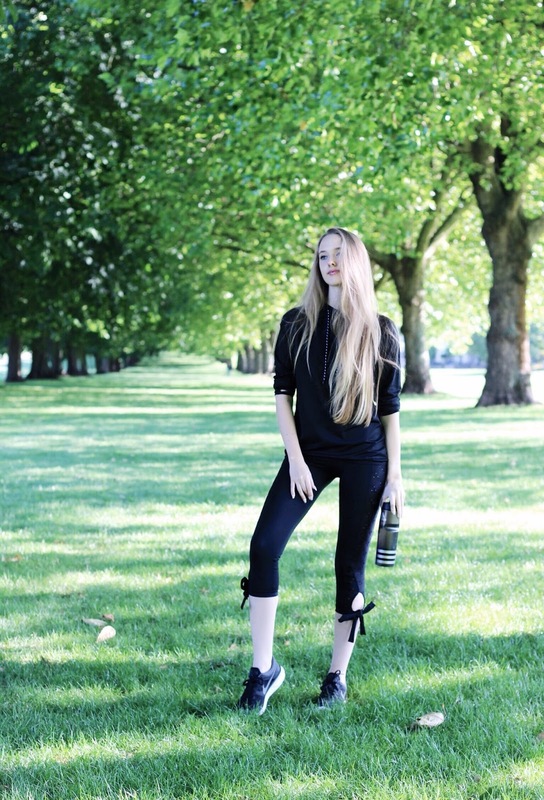 Stylish activewear, like your gorgeous getup, is a must too. I work out from home, so I don't even have a mirror to look into and only my kids watching me. But still I prefer to make a little effort, dress in cute active wear and, mist importantly, have my hair out of the way. Gabrielle, you always do look stylish. Having said this, your tips are great. You gave some great advice and love the little bow detail on your leggings. It makes working out look cute! I love getting new workout gear, it always makes me feel super motivated! I like wearing a high ponytail to workout because I like feeling it swish haha! This post couldn't have come in a better time for me! Oooh, these tips do help! I usually just pull my hair out of my face in the nicest way, but my clothes are sometimes a train wreck. I hope you're enjoying your new gym though! Great Tips! Exercise in style! I love the details of the legging! this is def a cute work out look! Great tips darling!! I also used to tie my hair in a ponytail when I went to the gym and I always was in search of cute activwear items! You look super tall, Gab! Love your style! You are such a doll! These are such great tips! I definitely don't wear makeup when working out, but I love your natural look options! Thanks for sharing! I put my hair up in a bun with my invisibobble while doing my yoga work out. I find the invisibobble holds up my hair well. You look really chic in this outfit, Gabrielle! Wonderful tips! I would have never thought about the nail one at all, but you have totally inspired me Gabrielle. I am on my own fitness journey, and I can use all the motivation there is!! 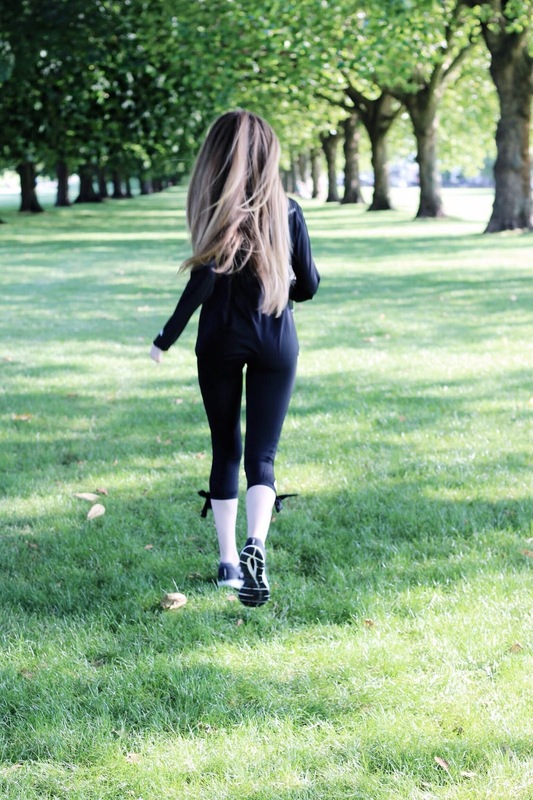 Fabulous tips - need to buy new activewear after reading this. Great outfit for for the gym! I love the details on your leggings, so lovely ! I love cute workout gear as well. Somehow, they make me more inspired to workout, haha! Great tips! I never look that cute at the gym - should probably step it up! Yessss nails are sooooo important!!!!! I love these tips,I didn't even know padded sports bras were a thing! I love your leggings too, they're so nice! Great workout look. It motivates you to workout even more. A very interesting and handful post, dear! Really more people think that working out means shabby look, ma that's so wrong! More since nowadays there are a lot of options to look good even when you are broke in sweat! As you said! Love your work out attire Gabrielle, you look very chic! And those leggins are really super cute! You looking so pretty as always even when you are working out! Those are very nice tips that will go a long way for the discerning. And the outfit is not bad looking at all, very nice. Greetings to you and hope you are well. You are a girl of my heart! All in black. It is so slimming!! Plus I love my Nike dry fit pants!! Buying new gear is great for motivation!! 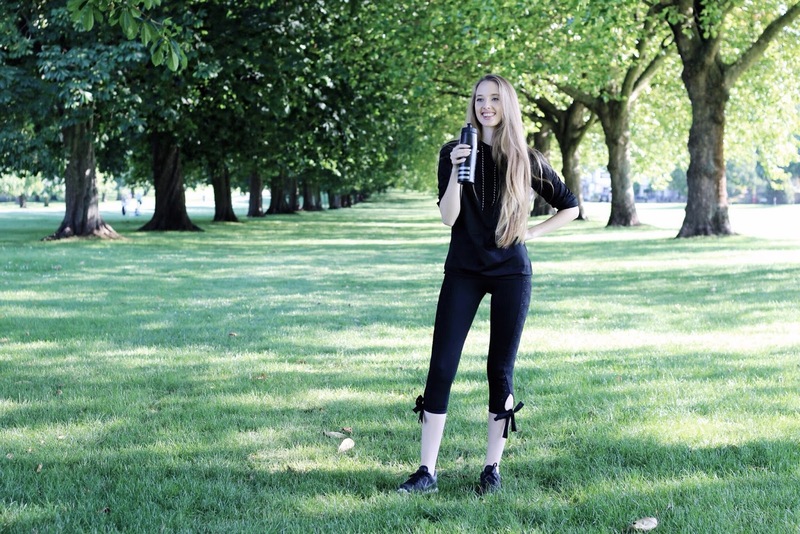 You look stunning as always and such a great location to get out and jogging! All that green! Your outfit is just too cute Gabrielle! Love the jacket and your leggings. I feel activewear is so important. If you look great, you'll feel great. They're making some cute ones nowadays. Excellent idea about a balm on your lips. Just enough color. 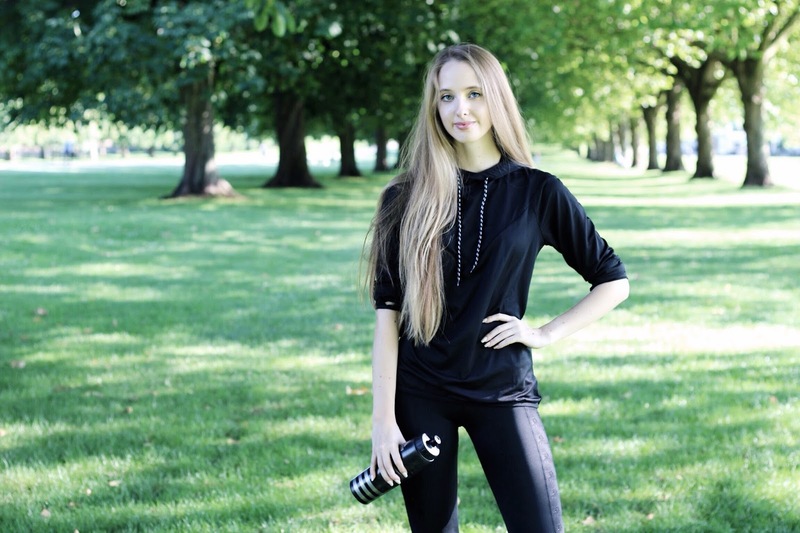 Having cute and stylish workout clothes and accessories always encourages me to exercise more! Also, I don't exercise with my long hair down either. But at the same time, I hate putting it up, because it only takes a few jumping jacks before my heavy hair falls out of its pony tail. Perhaps you have suggestions?! Hey Kim, I can totally relate! Try layering one bobble over another, which tends to do the trick. Another suggestion would be to wear your ponytail lower down on your head, or even pin the bobble into place using bobby pins. Hope that helps! You look so gorgeous in your workout gear Gabrielle and I'm so glad to hear you're enjoying your new Gym! Your Seafolly leggings are gorgeous, really think the bows create a feminine look to your overall workout outfit. You look beautiful and clearly working out in style and suits you perfectly! Sending love your way beauty! I absolutely LOVE those leggings. The ties at the bottom are unique AND they have such a great texture. They also really go well with your personal style. 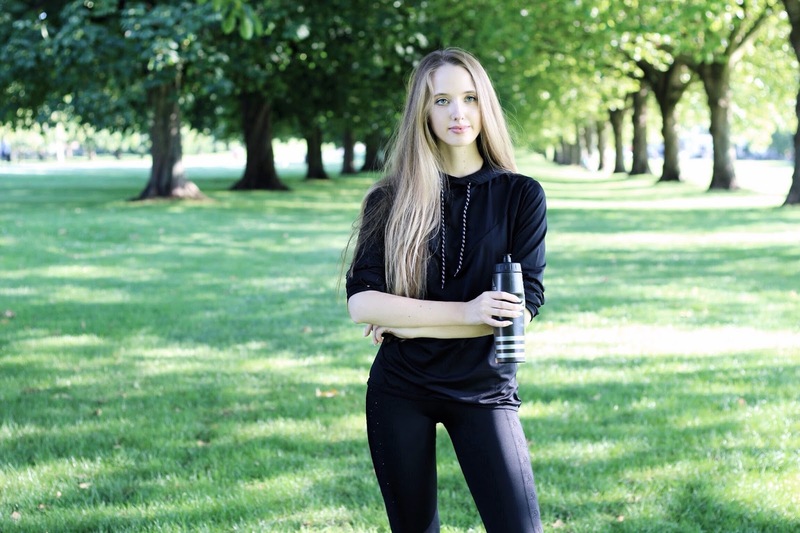 I've only recently started to look for some stylish clothes for my yoga exercise, so this article came in a right time. 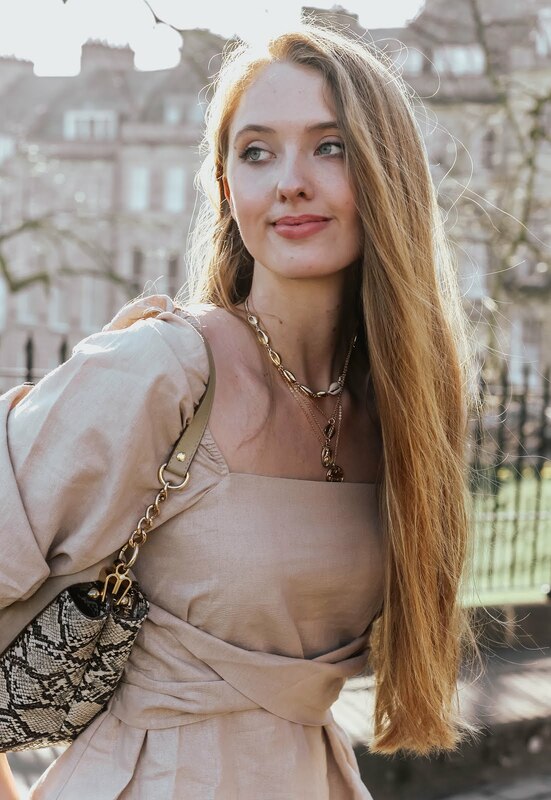 I really enjoyed reading and love your outfit!